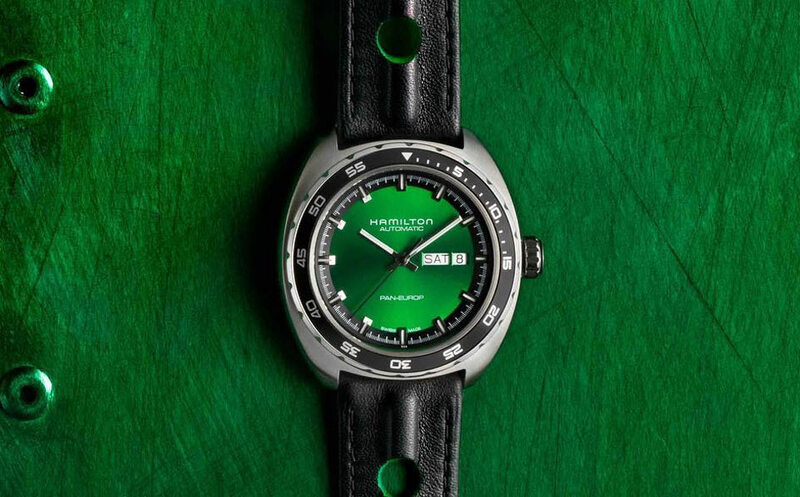 The Pan Europ Auto, a sport classic from Hamilton whose design reminds details from classic 1970s cars, is now available in a new green and black colour combination. 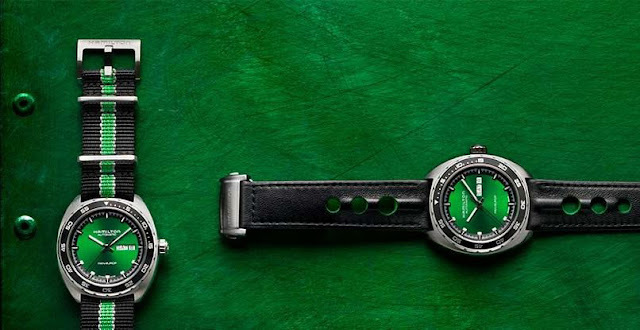 The 42 mm polished stainless steel case frames an eye-catching green dial with luminous hands and markers protected by a sapphire crystal. Water resistant to 50 metres / 165 feet, the Hamilton Pan Europ Auto is driven by the H-30 automatic movement beating at 21,600 vibrations per hour and offering 80 hours of power reserve. It is visible through the transparent case back. The watch is delivered with two straps and a pin remover. 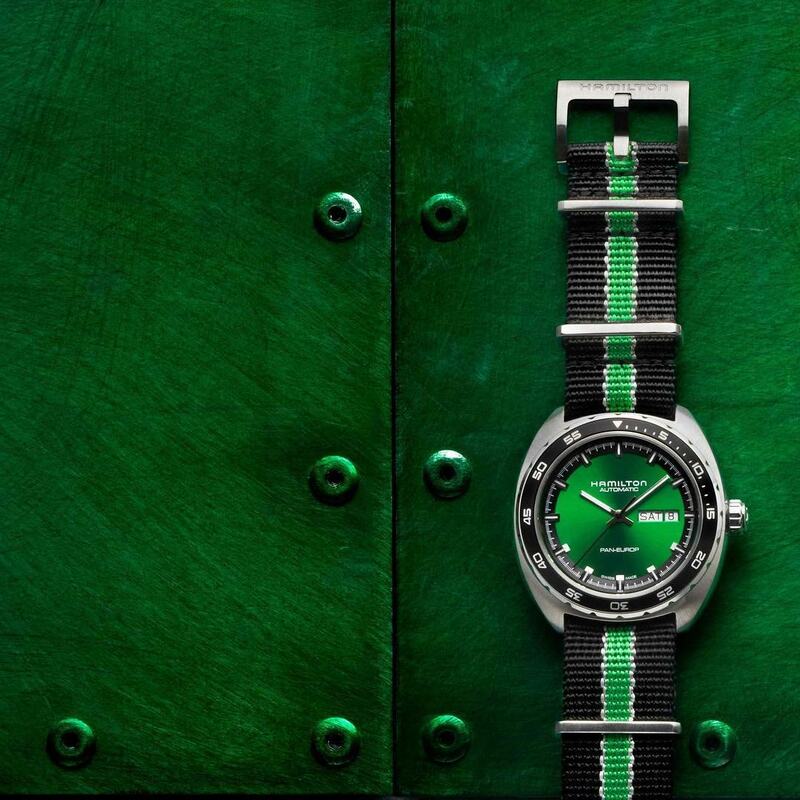 This way, the soft black leather strap with round cut-outs and a green inner lining can be easily alternated to the durable, woven nylon of the black and green NATO strap. Hamilton Pan Europ Auto Green. The Pan Europ Auto, a sport classic from Hamilton whose design reminds details from classic 1970s cars, is now available in a new green and black colour combination. 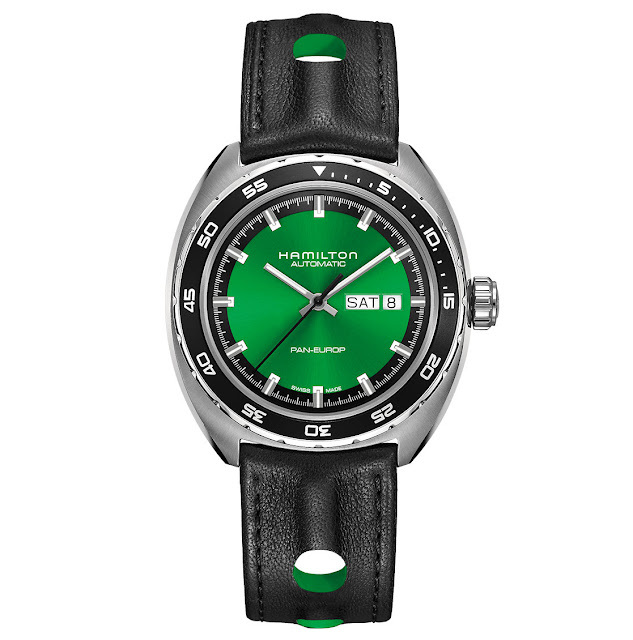 The Hamilton Pan Europ Auto Green (ref. H35415761) has a retail price of Euro 995 / $1,195.